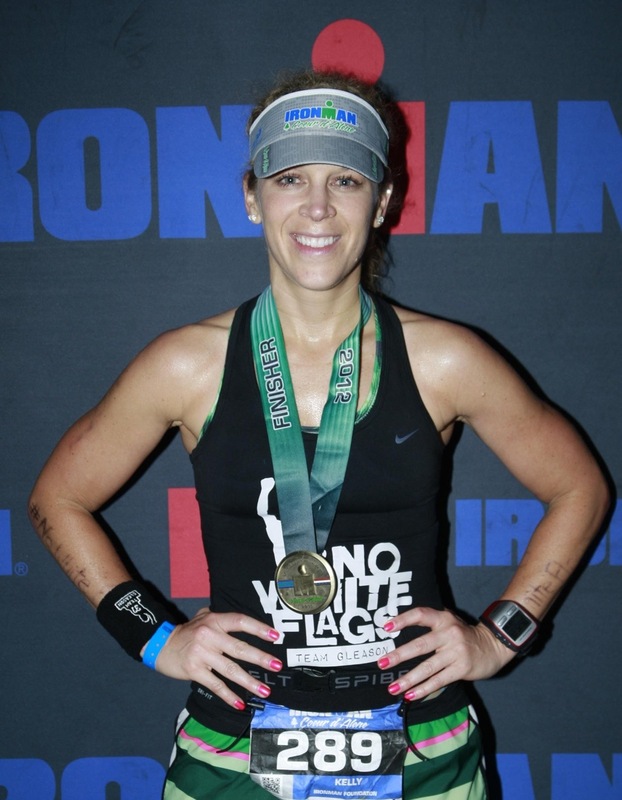 Kelly Smith is a girl who is inspired by Steve and inspires us. Steve and Michel got to meet her in New Orleans at the 5150 Tri. 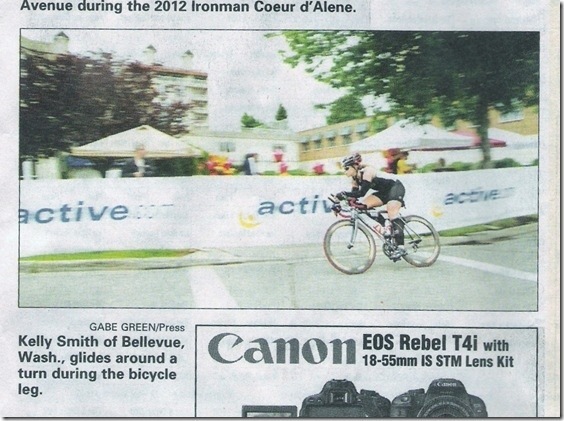 On June 24th, 2012, clad in Handmade Team Gleason / No White Flags apparel, she ran the Ironman in Couer d’alene. We are psyched to have her on the team! Gooood early morning from IMCdA! The big day is here and it’s surreal. 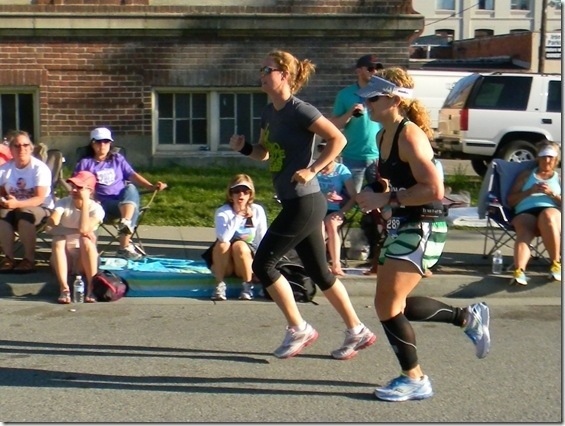 I’m almost lost for words as I am being driven into the start line and eating my race morning breakfast of wheat bagel and peanut butter and apple, but the inspiration flows through me making up for those lost words. 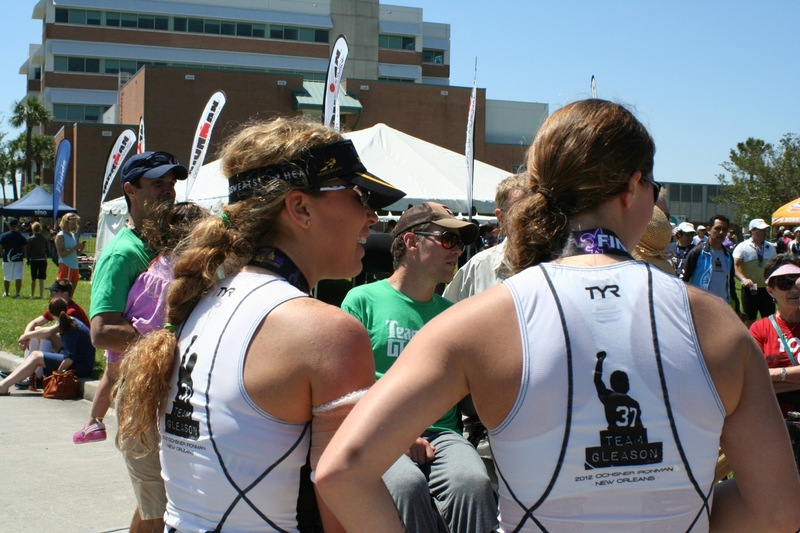 That inspiration comes from all directions, but from nowhere bigger and more important than Team Gleason! Just being who you are and how you are…living life the way you do…it’s truly amazing, inspiring, and an example of how everyone should live if they are lucky enough to figure that out with time left on your timeline. I have and i have you to thank for it. 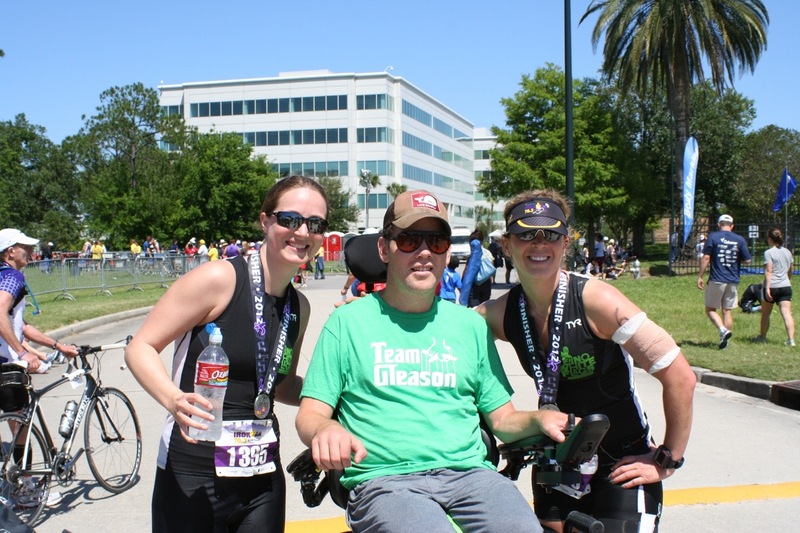 I will spend the rest of my life pushing people to do the same looking at Team Gleason as the example. Thank you from the bottom of my heart for ALL of this! “Sooooooo…..well….how did it go. Short answer…it went AMAZING! Long answer (because I would have to explain why)…it was a life changing experience, more than a physical event, more than a race, more than one day….and I have to thank you guys for a big part of that. I woke up on Monday and thought “well….everything is the same, yet everything is different”. I have new eyes for life and my heart has overflown with all the love it received and my soul has been humbled. It’s surreal and it’s really hard to explain why….but, its all in the most fantastic way! 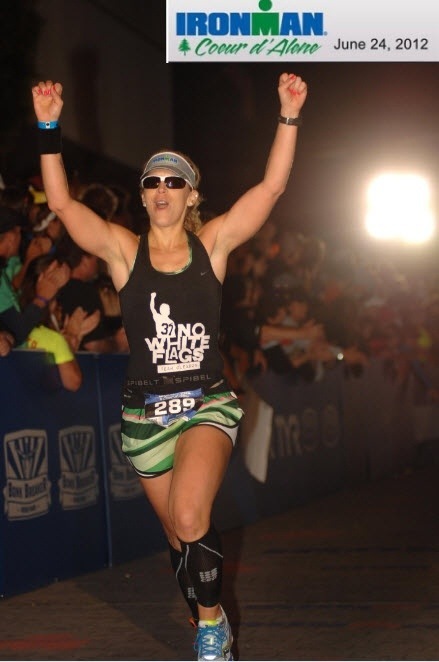 I have to admit….by the time I got to the run portion of the race I couldn’t think about you anymore because every time I did my heart would move to my throat and I’d choke up and tear up and would have to stop to regain my breathing ability. So I kept “No White Flags” top of mind and left it there and tried not to think too hard. 🙂 I have to say though…..soooooooo many people wanted to know what that slogan meant and sooooooo many others got it immediately and commented on it all day. Awesome reminders to keep me pushing. You guys inspire so many!!! Including me! 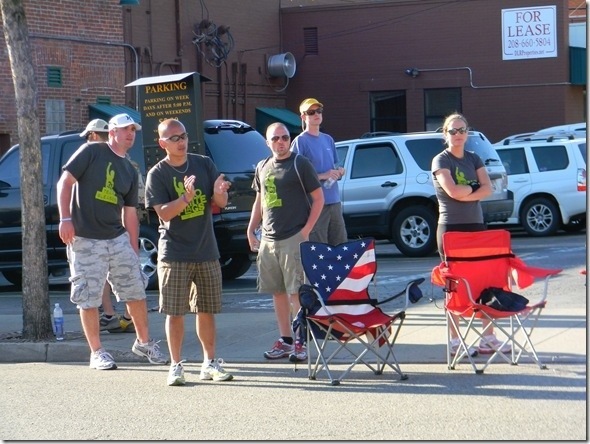 In addition….my support crew was about 13 strong and every one of them wore a Team Gleason shirt. They were INSANELY LOUD! They were known as the “Gleasons” by mid-point in the day. They said so many commented on how many of them there were and how loud they were and how awesome their shirts were and how lucky their athlete was to have them….I agree wholeheartedly! 🙂 They were beyond awesome!!! Again…thank you and much love to you guys!!!! I hope you are all feeling good today! Thanks to Kelly for raising awareness, inspiring others, and loving life. 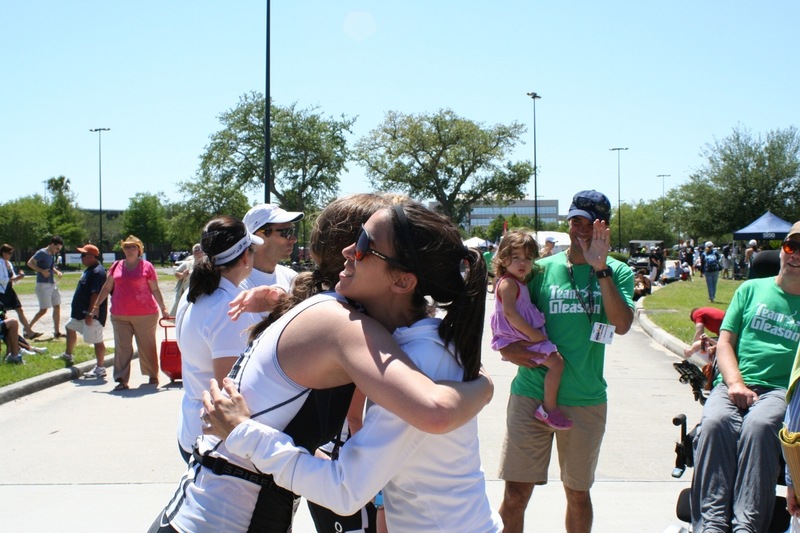 All of us at Team Gleason are proud of you!